Mellow Monk's Green Tea Blog: Tea and mochi in L.A. If you are in Los Angeles at the right time, you can check out Kulov's tea festival. In the unlikely event you do not get enough to eat there, swing by one of the locations of Mikawaya, which recently celebrated its 100th anniversary. 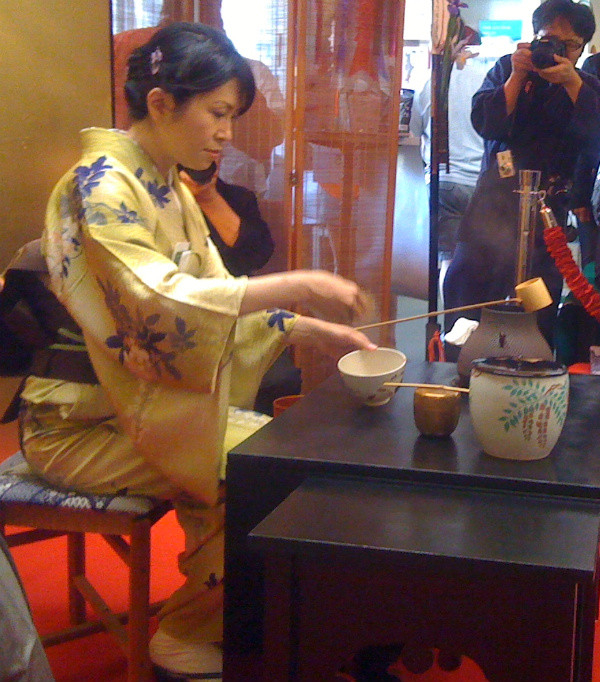 A a Japanese tea ceremony topped off the tea festival.